In spite of playing less than 200 contests at hockey's elite level, 23-year-old Cal Clutterbuck has, at every stage of the game, proven to be a bit hit…literally. 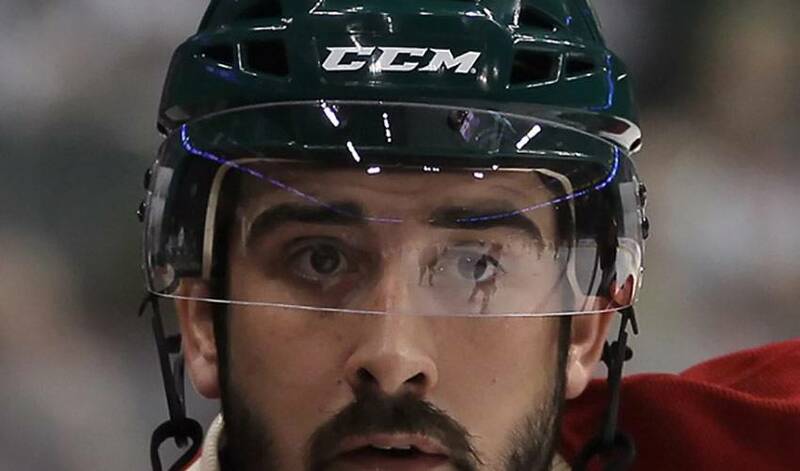 Standing 5'11” and weighing in at a sturdy 215 pounds, Clutterbuck, who patrols the right wing for the Minnesota Wild, never scrimps when it comes to dishing out body checks. In fact, the player with the catchy name put his name into the record books in 2008-09 when he recorded 356 hits, the most ever in the NHL. And while it is undoubtedly a staple of his game, punishing opponents with stiff checks is far from Clutterbuck's only contribution. Back-to-back 35-goal seasons with the Ontario Hockey League's Oshawa Generals from 2005-07 are accurate indicators of what the native of Welland, Ontario can do once he gets the puck on his stick. Taken by the Minnesota Wild in the 3rd round, 72nd overall in the 2006 NHL Entry Draft, Clutterbuck was assigned to their American Hockey League affiliate, the Houston Aeros, to start the 2007–08 season. He was recalled to the Wild on October 23, 2007, after an injury to Pavol Demitra, and appeared in his first NHL game five days later against the Colorado Avalanche. In the early months of the 2008–09 season, Clutterbuck was called up from the Houston Aeros to play with Minnesota. He became an instant fan favorite, appearing in 78 games. On November 24, 2008, he scored his first and second NHL goals against the Washington Capitals. DePiero liked what he saw from the former General. Oshawa fans certainly took notice of Clutterbuck. Clutterbuck hasn't wasted his opportunities in the NHL, utilizing his high-tempo game to help create scoring chances and negate the opposition's opportunities. It's a familiar scene for DePiero. That would also include getting under the skin of other players. Clutterbuck has no designs of having a short NHL career. But that doesn't mean he's forgotten his time in Oshawa. “When I was traded to Oshawa from the Toronto St. Michael's Majors, things began to take off for me,” said Clutterbuck. “That's when I realized I had a shot to make it in the NHL. Which, when it comes to Cal Clutterbuck, can mean any number of things.